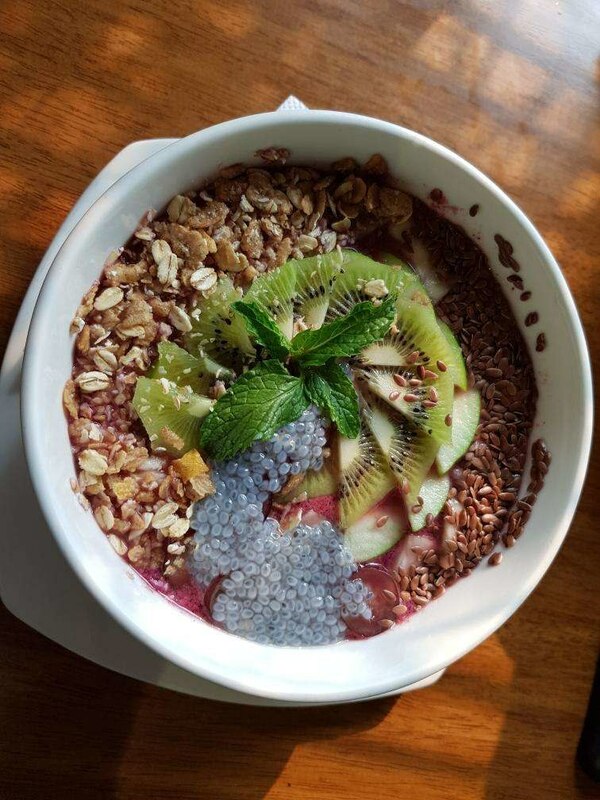 Smoothie Bowls - What Why and Where You can Get Them In Delhi! 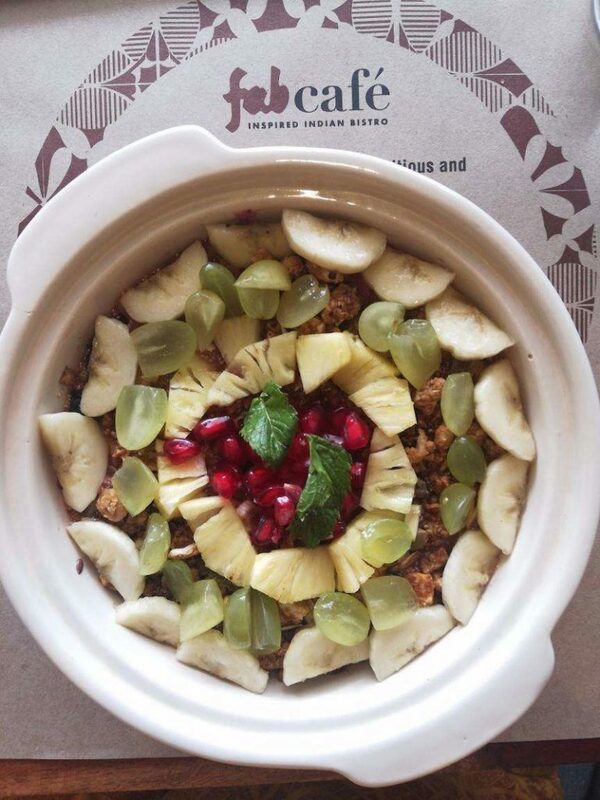 Smoothie Bowls – What Why and Where You can Get Them In Delhi! In the last year, the humble smoothie got a HUGE makeover and the trends have been flowing in ever since. If this sounds new to you, let us fill you in. The Smoothie bowl was a trend that started in order to spice up this amazing dish. The concept is to serve thick, creamy, nutritious smoothies in bowls and top them with crunchy granola and more fresh fruit. If you think smoothie bowls are just smoothies poured in a bowl and served with toppings, let us tell you that you couldn’t be more wrong. The base of a great smoothie bowl starts with whole ingredients. Made with greek yogurt, frozen fruit and almost no liquid used to blend this mixture, it makes the base a thick ice-cream like consistency. Yes, its approved to eat this amazing “ice cream” for breakfast since it is filling and makes a whole meal. Where You Can Find It In Delhi? 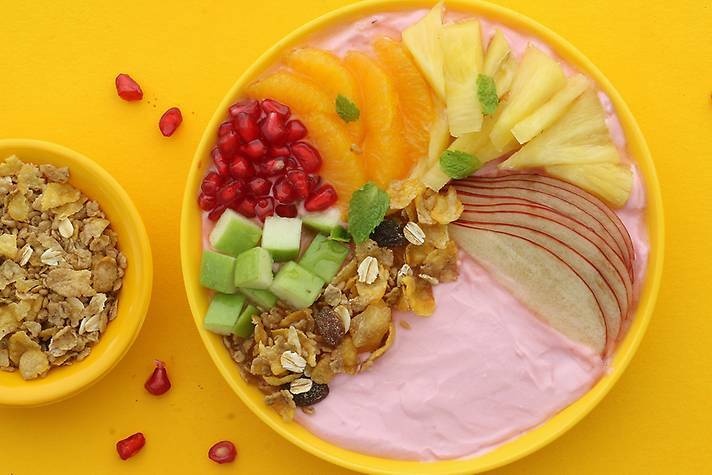 Now to answer the elephant in the room, we have tracked down some amazing cafes in Delhi that will serve you smoothie bowls. And what’s more, we found some delivery kitchens too! Read on! 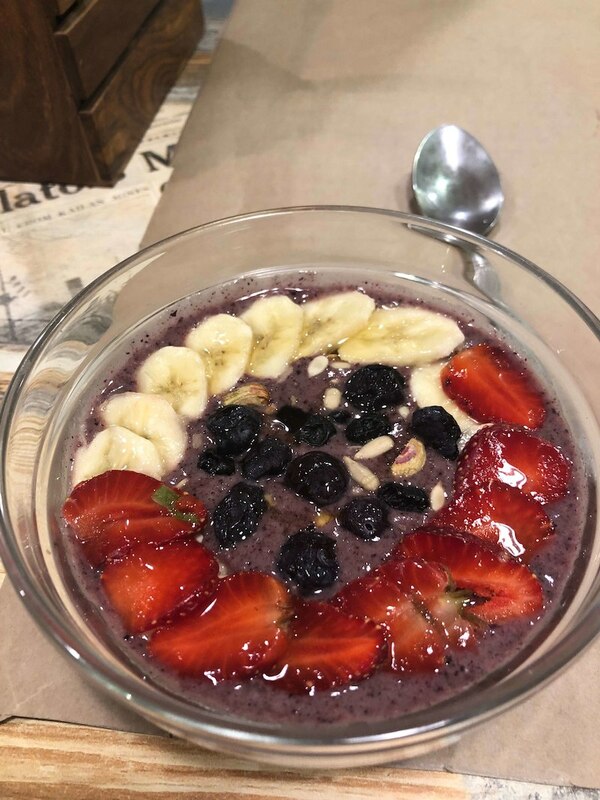 Hidden in their menu as Acai bowls, these smoothie bowls are filling, affordable and they have an added advantage of looking stunningly instragramable. This bowl here is a part of their all-day breakfast menu! You know what that means.. breakfast for dinner, breakfast for lunch, breakfast all day! 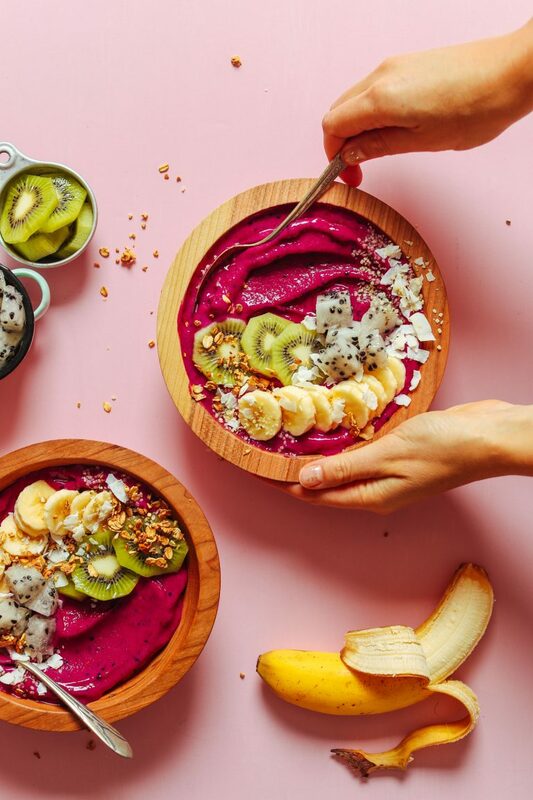 This amazing fab cafe lets you pick a smoothie from their smoothie menu and convert it to a smoothie bowl. Can anything get better than this? We think not. This is one delivery kitchen that will bring these morning delights straight to your workplace when you’re busy hustling through the day! We are not unfamiliar with this amazing food delivery system that has been serving quality dishes across Delhi. 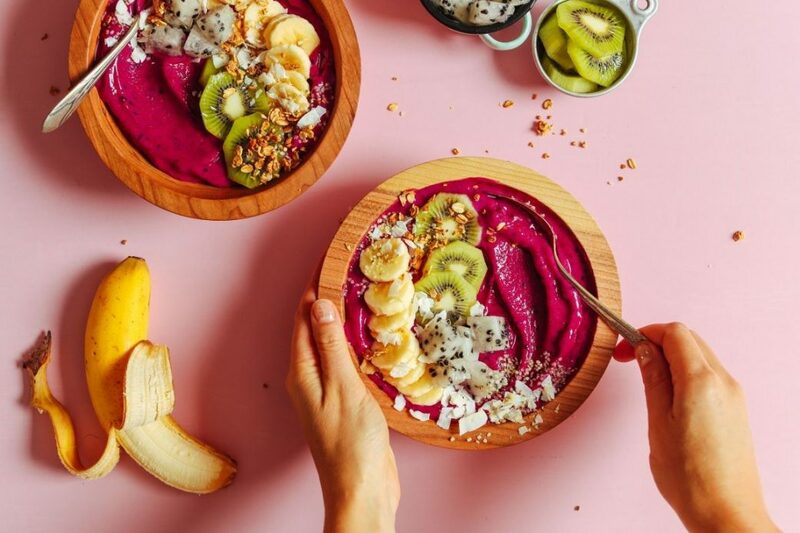 Their latest addition is this amazing smoothie bowl that you HAVE to try! 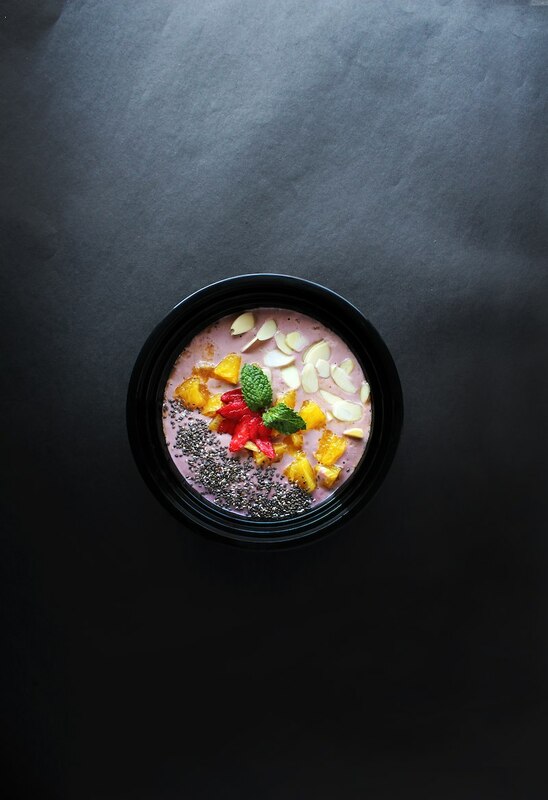 Now that you have all that you need, Go get yourself a smoothie bowl, take a beautiful picture of it, post on Instagram and #SmoothieBowl.